Conceived around the theory of heliocentrism and its discoverer Copernicus, it features a little domed white gold disc depicting the earth, which moves around the pink gold sun in an elliptical orbit every tropical year of 365.2421898 days, passing through the opaque zodiacal symbols and constellations etched and engraved into the sapphire ring around the centre of the dial. On its own axis, the earth also completes a full rotation every day, as the 'floating' hands indicate the time around the edge of the midnight blue dial. Encased in a 43mm white gold case, it is quite magnificent, and through the exhibition caseback, the self winding movement is the result of three years of development, achieving exceptional precision in solar and tropical time, and with all functions controlled via the crown, ease of use too. 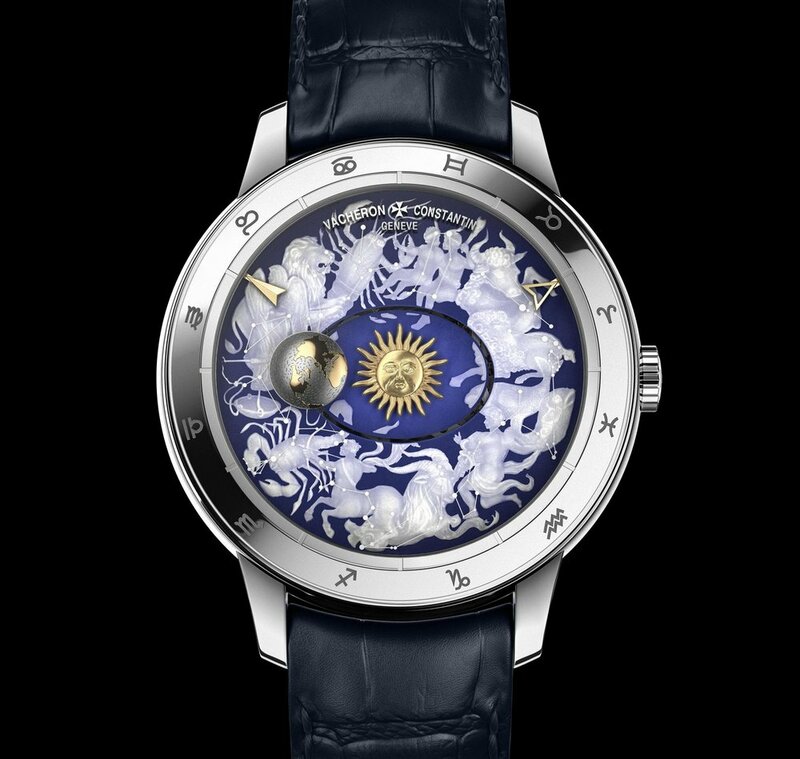 Of the six preselected finalists in the GPHG 2017 Artistic Crafts category, the Vacheron Constantin Métiers d'Art Copernicus Celestial Spheres is by some distance the most technically complex piece, created by the Grande Maison's specialist Métiers d'Art atelier, where a combination of traditional manufacture Haute Horlogerie and hand finishing skills are recognised by the distinction of the Poinçon de Genève seal. However, complexity is not necessarily a trump card in this category as Greubel Forsey found out in 2014, when their Art Piece 1 was seconded by the beauty of Kari Voutilainen' Hisui, and if that can be any semblance of a precedent, he's back again this year, and has if anything, only got better. I think it could well win the category, but I'm going to say no. Once again Voutilainen has created something of breathtaking intricacy and beauty, and I think it will be he who makes the acceptance speech.